When prospective buyers think ‘real estate’ they probably imagine pushy agents, over-inflated houses and a whole lot of red tape. If we’re being honest, the housing market doesn’t look too flash for buyers at the moment so unless they’ve won Lotto or they’ve been putting cash aside since they were two, buyers (and real estate agents) need all the help they can get. That’s where the nifty little animated video comes in. You probably wouldn’t ordinarily associate explainer videos with real estate. 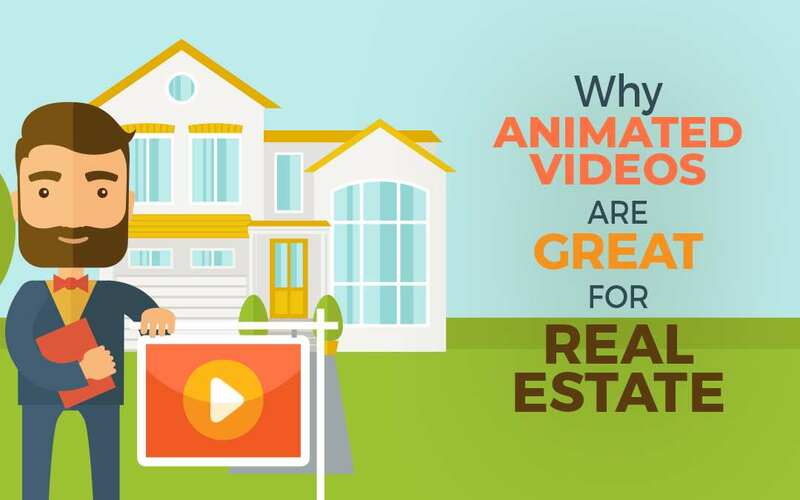 Sure, video is on the up and up when it comes to selling an actual property (hire a drone and you’ve got yourself a sweet aerial shot), but animation is also a sure-fire way to attract clients and help get more people in homes that they own. Take this whiteboard animation video that we produced for Pope & Co. Mortgages. It’s really short and simple, and clearly explains all the things a wannabe homeowner needs to do in order to get pre-approval for a home loan. The voiceover is central to the success of this video – it’s what the animation is based around, after all – so to get it right we worked with a professional freelance scriptwriter who nailed the most important points of the message and a voiceover artist who could deliver a professional result. From there, our animator created an easy-to-understand whiteboard sequence that visually explained the verbal script. Every image is simple; real estate is already complicated enough so it was important that our video wasn’t. We also chose some music that suited the video’s movement and the voiceover’s cadence, while adding to the overall feel and purpose of the video. After all, the point of the video was to engage viewers right to the end so they felt like they could trust these guys in the know about mortgages. We also recently produced an animated explainer video for Proppy. It’s short and snappy, bright and cheerful, and clear and concise. A viewer gets to the end of it and knows exactly what Proppy is about and how to take that next step. We partnered with a scriptwriter and voiceover artist to make the final product seem slick and professional, and our expert animator translated the script into strong imagery that commands attention right to the end. The moral of this story is that video for real estate doesn’t have to revolve around listings. Look outside the square with your real estate marketing and see in an animated explainer could tick your boxes. Here’s an example of when an Auckland real estate agent approached us with a small problem he had – his customers needed to know more information about the area he was working with and he needed wanted to be able to tell them all at the same time via email. Keen to give this animated malarkey a go? Talk to the friendly team at Onepost Media Production today – we’d love to help. Make sure you check out our Animated Explainer Video page for more information on our Animation Service.